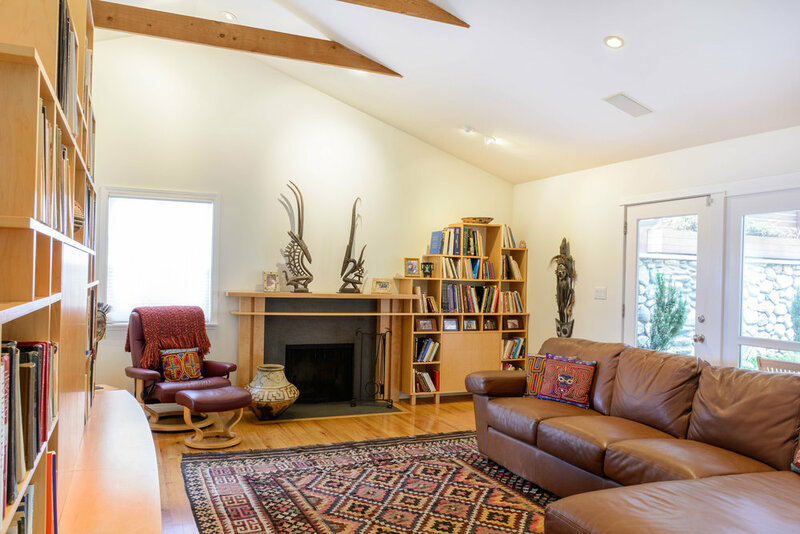 This spacious living area was created by removing the existing flat ceiling to create a cathedral ceiling; we chose to leave the structural beams exposed to add casual warmth. 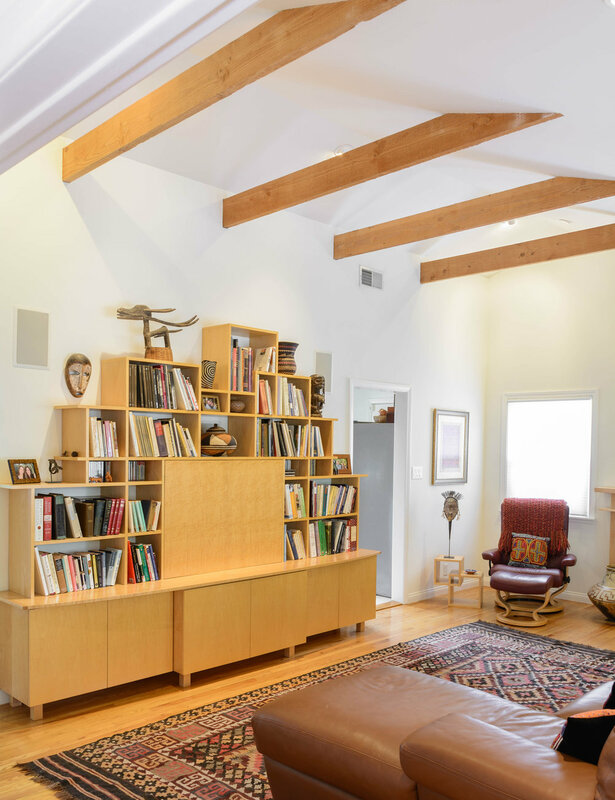 Maple was used for the custom bookshelves and entertainment center, which was finished off with birds-eye maple panels. The old brick fireplace was replaced with flamed absolute black granite and a curly maple mantel.